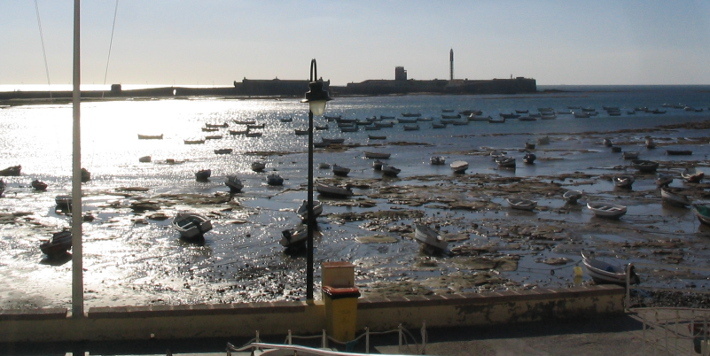 Cadiz is an example of a substantially transformed landscape, not just by man but also by nature. The origins of the city seem to date back to a Phoenician colony on what was then an island near the mouth of the Guadalquivir, with the defensive advantages of such a configuration, probably similar to the present day Syrian island of Erwad. Even if there is some distance to the mouth of the Guadalquivir, as an example of the coastal dynamics is the fact that today’s Guadalquivir marshes were a gulf in roman times, and it seems the sea could be seen from Seville. 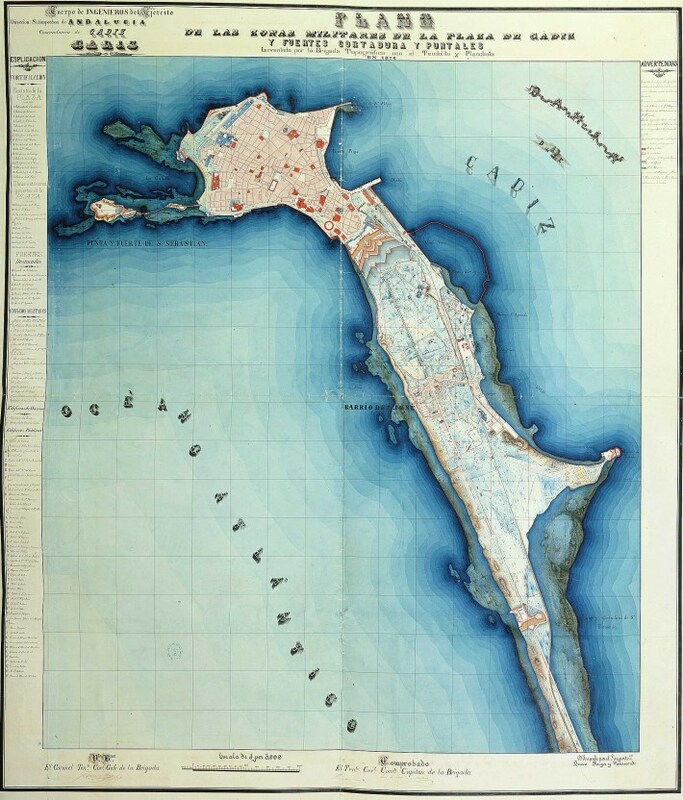 On Cadiz bay a similar evolution has happened due to the action of the Guadalete fluvial system. 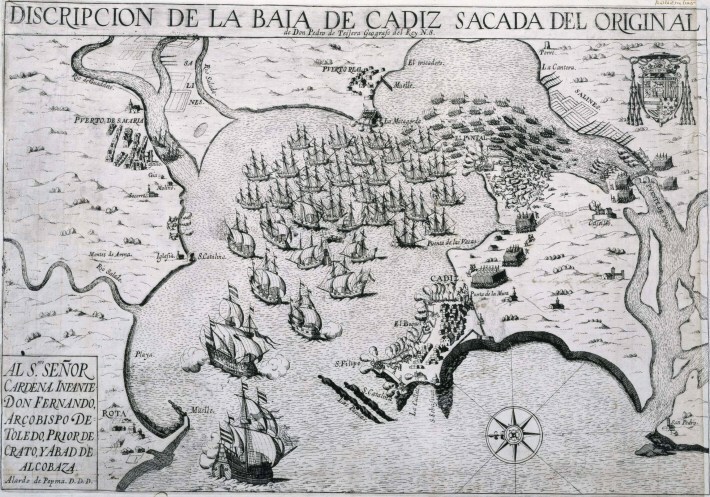 The bay has been occupied by marshes, and Cadiz is today linked to the continent by a sand bar (with a small separation canal), being seen from space with an image similar to the Coronado peninsula in San Diego, California, or Sete, France. Historic images show the urban growth, but also the progressive new land occupation. 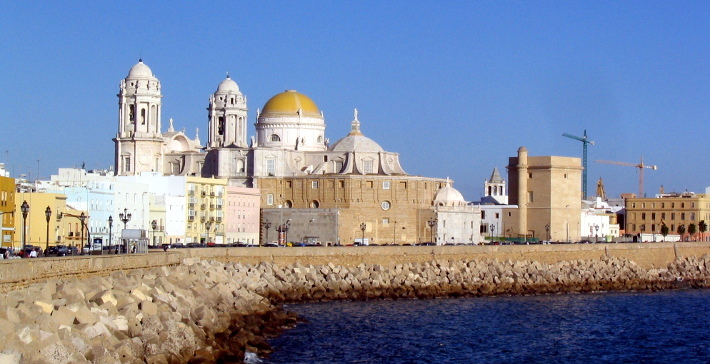 The old city is the ancient island, with walls against the land access, and conserves still architecture from the XIXth century and the era in which Cadiz was the gate to the Spanish colonial world, that followed its meridian. Therefore its urban image is quite similar to that of Latin American cities, and it has sometimes served as a proxy for Havana in films. South of the ancient walls there is an urban extension that is not as interesting as in other cities, but it has a forceful linear structure and a high use density. Climate change and sea level rise can have a significant impact on a city like this, with a limited height over current water levels. On the other side, its forceful linear structure is an asset in terms of sustainable urban mobility.